Refresh your daily routine with natural personal care, bringing yourself closer to nature with even the most ordinary parts of life. Start each morning and end each night by reconnecting with your natural world. Stay clean and fresh with Sea Buckthorn Creamy Body Wash, Citrus 24h Spray Deodorant, and Salt Toothpaste. Then, keep your skin and lips moist with Skin Food and Everon Lip Balm. Tingly-fresh tooth cleaning, maintain underams' natural detoxification process, vitalizing fragrance in the shower, hydrate skin. 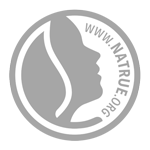 Dermatologically tested and ree from synthetic preservatives, fragrances, colorants or raw materials derived from mineral oils. Apply generously several times a day, wherever your skin needs extra help -- especially on rough, dry areas like hands, feet and elbows. Roll onto clean and dry underarms everyday or apply as needed. In the shower or bath, use generously all over. Will not create high lather. Enhance the moisturizing effect by following with Sea Buckthorn Replenishing Body Lotion or Hydrating Body & Beauty Oil.